Publisher Note: Originally published March 5, 2011. The text has been re-edited and the photos updated. But this time, the recipe has evolved some over the years. So the technique has updated some also. I love beef. I like pork and chicken, but I LOVE beef the most. Too much Iowa in me I guess. 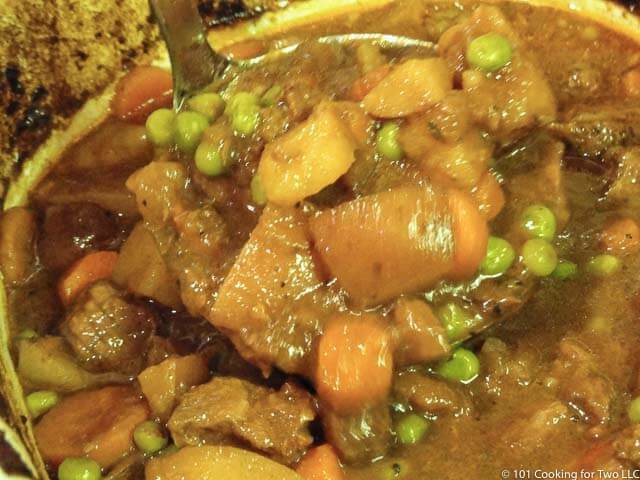 While it’s still winter here, it’s a very good time for an easy slow cooker beef stew. I started with a Cooks Country recipe (subscription required), but I think it is unrecognizable now. It would feed a large army. I wanted only the small army size please (read “For Two with leftovers”). Also, lots of fuss as usual from Cooks Illustrated has been removed. 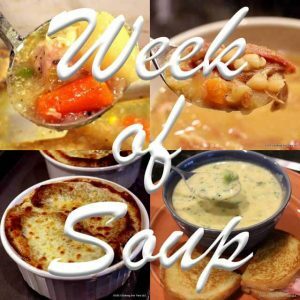 This is the seventh soup in my “Week of Soups.” Another classic soup. An easy 5. We loved it with seconds all around. 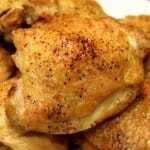 The original Cook’s Country recipe is great, but this is a “cooking for two” site, and it produces a lot. I have already decreased the recipe by almost 50% but even my cut down version cuts in half fairly easily. Or make the whole recipe and leftovers are good in the refrigerator for 3-4 days. Or in a freezer, 2-3 months and longer in a deep freezer. I keep a little fuss at the beginning that I thought would enhance taste with browning the meat and onion, but I used the time to cut the other veggies so really minimal extra time, just one dirty pan. You could probably skip this extra work of browning and just dump the ingredients in, but I think the taste was great and worth the little extra work. If you want, use 3 lbs of a leaner beef you want healthier. Or buy that pre-cut “stew meat” at the store if you’re lazy. The thyme has been made optional and I our house it just is not done. My wife does not like it in this recipe, and I tend to agree. 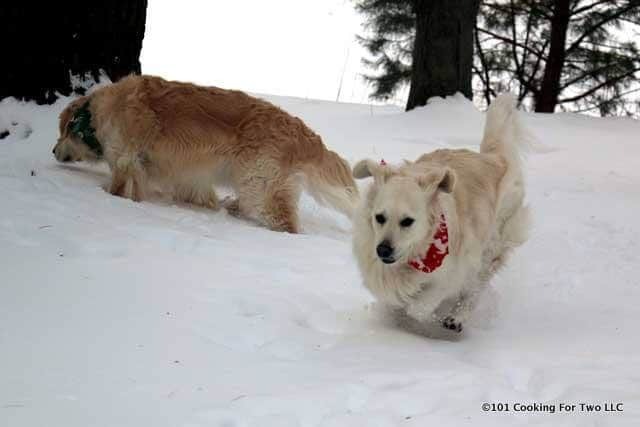 Cooks Country seems to love it, so the choice is yours. Tapioca is used to thicken this recipe. I think that is an excellent choice since it can be added at the beginning of cooking. Another plus is reheating where it is fine. Cornstarch reheated liquids are gel-like and gross. Using a roux with flour is just fussier then it needs to be. 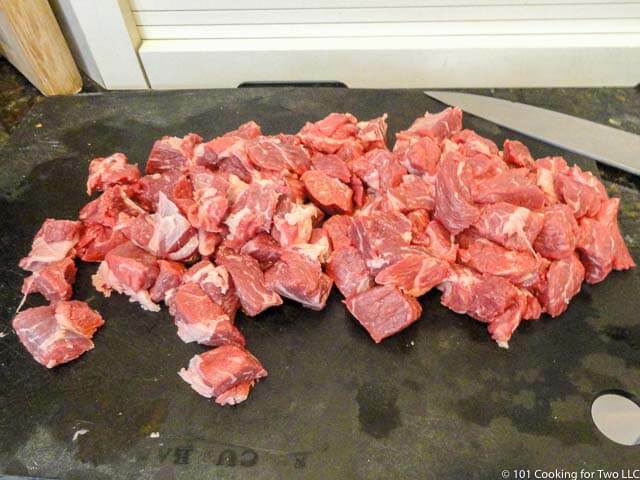 Start by trimming about 3 pounds of boneless chuck roast or use stew meat if you are lazy. Give it a light dusting of flour and place in hot oil over medium-high heat in the large nonstick pan. Brown for about 7-8 minutes. Move the meat to crock pot but keep any liquid in the pan. While browning meat, peel 4 carrots and cut into 1/2 inch thick medallions. Scrub 1 pound of red potatoes and cut into chunks. Other potatoes could be used. Mince 3 medium onions. Crush or mince 6 cloves of garlic. Add onion, 6 oz. tomato paste, and 1/2 tsp salt into the hot pan. 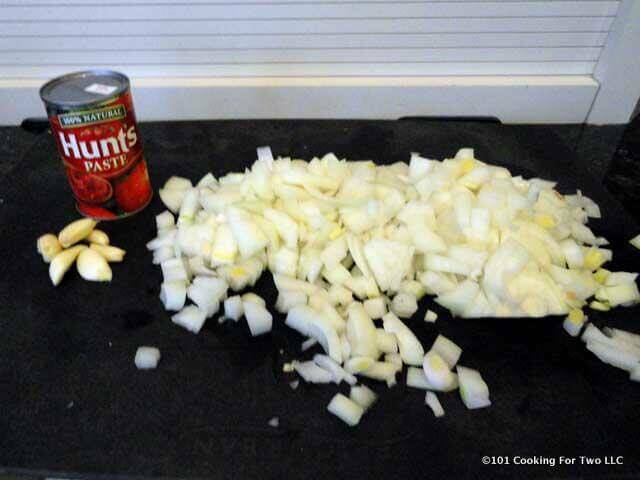 Cook until onions are soft and lightly browned. About 8 minutes and try to add the garlic for the last minute. 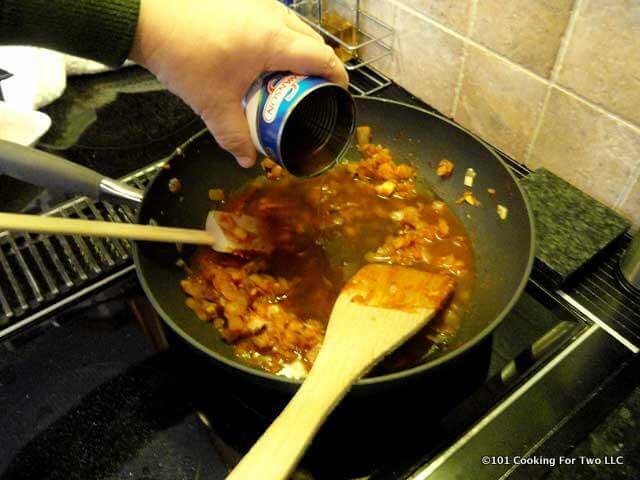 When the onion is ready, add one 14 oz can of beef broth to the pan and scrape any brown bits from the bottom of the pan. Add all ingredients except the peas in the crock pot, stir well and set to 8 hours on low. At hour 7, add 1 cup frozen peas. The best beef stew I have ever had. 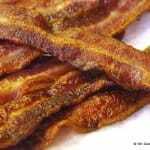 It is thick, meaty with wonderful taste plus it’s simple and easy to make. I know this is cooking for two. This recipe will cut in half well. As written, you should use a 6.5 qt or bigger crock pot. Leftovers are good in the refrigerator for 3-4 days or 2-3 months in a freezer. If you're in a hurry, skip the whole browning skillet steps. Just dump it in, and it will be great. I prefer to cut and time a chuck roast for this, but store stew beef will work fine. Hi, I am going to make your recipe for Beef Stew today. What size crockpot should I use? Anything under 5 qt will be too full. I use a 6.5 qt. 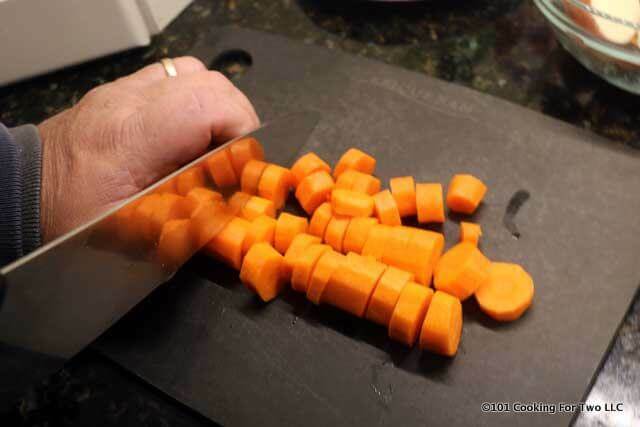 If cut it half, 3 qt. is a good minimum. Is the only liquid besides the soy sauce 14 oz beef broth? Does that end up being enough? Yep, it is a stew so thick. Fluid does come out of some of the components. If it is too thick for you, add some more broth. Well once again, another winner of a recipe from you!!! Made this today and I was salivating the entire day, the house smelled soo good! The stew tasted as good if not better than it smelled!! It was husband approved which is important and we have plenty of leftovers to look forward to later in the week! This has got to be the most flavorful stew I’ve ever made… it’s definitely a keeper! Thank you once again! This is a recipe I only do a few times per year and always say I’m going to do it more. It is also on my conversion to pressure cooker list (if that ever happens). Sounds good, and pretty easy. Your directions (both in the post and in the recipe) say to add 6 oz. of tomato paste, but the ingredient list only has 3 oz. Can you let me know which is correct? The model recipe used 6 oz, which is a full can, but is a bigger recipe. I have done this recipe 25-30 times and now use 6 oz. for this size of recipe. When I re-edited the post last winter, I made it 6 oz and missed the one spot. Sorry for the error. The increase in the tomato paste enhances the deep beefy taste. This recipe is super easy and tasty! 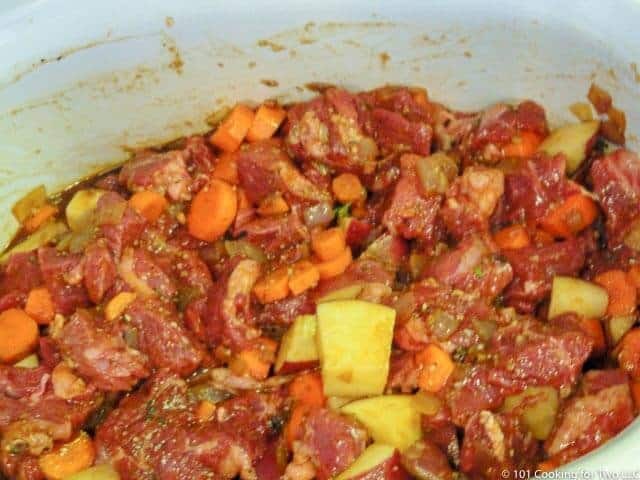 Thank you for posting the least intimidating beef stew recipe on the internet. I will definitely try the thyme next time, just to see if I’m missing anything. Thanks for the note. I do like relatively simple cooking. Do you peel your potatoes or leave the skin on? Usually on. Also I have started to coat the cubes of meat with flour and brown that either before or after the onion part then do the rest of the recipe as stated. Have you tried this in an electric pressure cooker? If so, how long did you cook it for? Don’t have one so I haven’t tried it. I still remember the great pressure cooker explosion my mother had from years ago. What is a serving size? 1 cup? 1/2 cup? A little over a cup. Would you have a recipe for dumplings to go with the stew? I’m not sure if they would be doable in a crock pot. Sure did love this beef stew. It had been too long, and I had never used the crock pot! Just for fun, sometime, steam some frozen Brussels sprouts till ready to eat and add with/or instead of the peas. It’s a family favorite around here and the only way SOME people will eat Brussels sprouts (I cut them in half BTW). Kind of like adding cabbage to veg. soup. Cheers! When did you brown the meat? Before the onions? 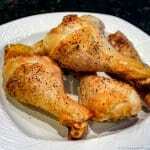 In the recipe and at ATK the meat is not browned. However I now usually brown the meat after the onion. I remove the onion then add the meat to get some nice searing then deglaze. Not really necessary but I think a little more taste. Can you sub cornstarch for the tapioca? And if so, how much do you recommend? Thanks! Yes and no… The corn starch thickens nicely BUT it tends to break down with ongoing cooking and does not reheat well. So yes if you do it at the end and eat the whole thing. Not good otherwise. I have no luck with flour and crock pots at the end of cooking but here I brown the meat so coating with flour prior to the browning is also an option. Potato flakes are another possibility. Just add it at the beginning and it will be fine. If you skip it, it will be a little thinner. I just made this and it was the best stew ever. I substituted half homemade chicken broth and half red wine for the beef broth, because that is what I had in the house. Just delish, and I never, ever comment online. Even my super picky oldest child, who eats nothing, pronounced it good. This is one of my most under-appreciated recipes. I do really like this one also. My husband and I just love your recipes. We especially enjoy the instructions and the pictures which make preparing the food easy. And the occasional misspelled word makes us chuckle and wonder if it’s on purpose!!! Thanks so much for linking up your slow cooker recipes for my slow cooker recipe index. I have to say that yours look so appetizing! These are just the kind of meals I was looking for! Juli here. I totally agree with you that Cook’s Illustrated Recipes are completely fussy and overly complicated. Jeffrey thinks the fussiness is worthwhile, but it would absolutely make me crazy to cook the way CI does every day. 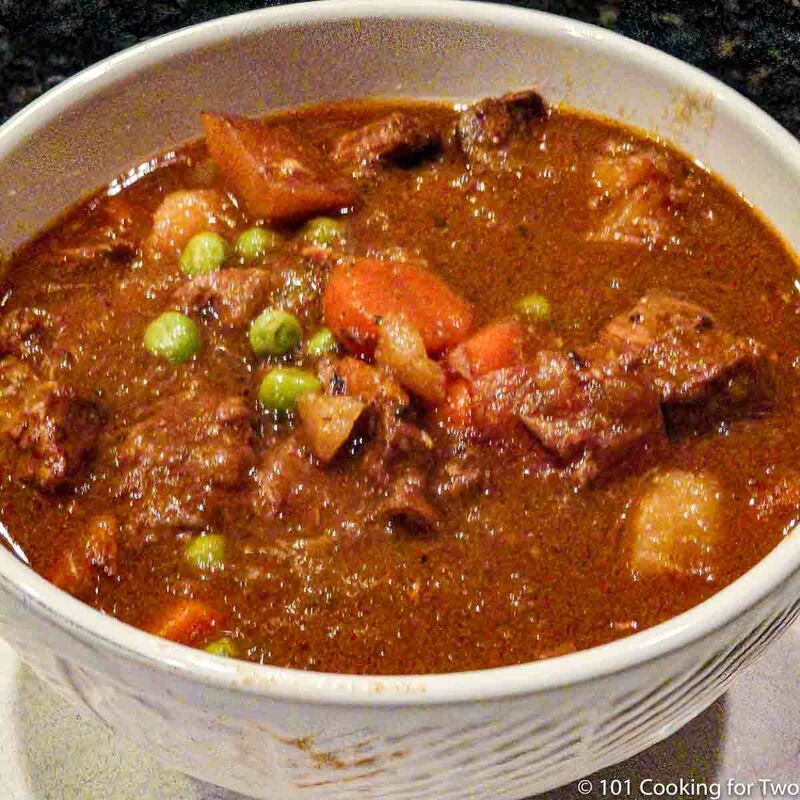 Your beef stew looks great! 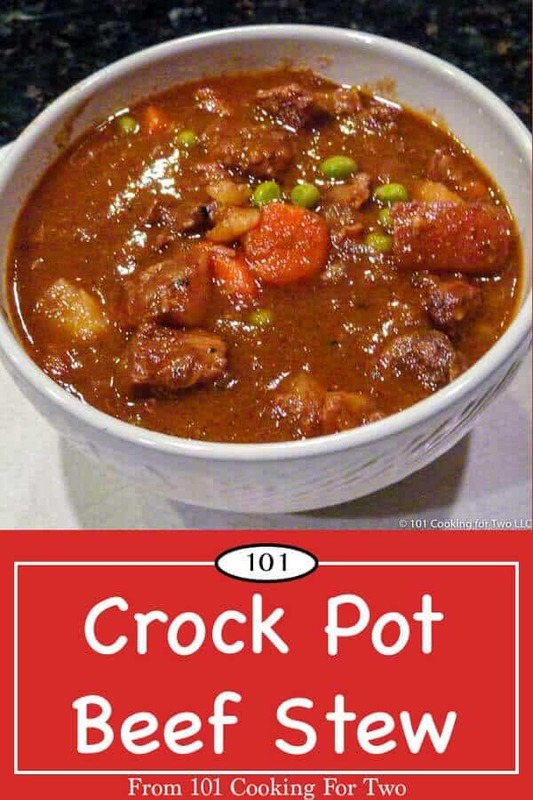 Thanks for the recipe variation for the crock pot.